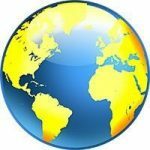 Google Earth Pro 2018 Free Download Latest Version for Windows. It is full offline installer standalone setup of Google Earth Pro 2018 for 32/64. Google Earth Pro 2018 is a very handy application which will let you explore the maps with detail. This application allows you to import the GIS data and to generate the videos. 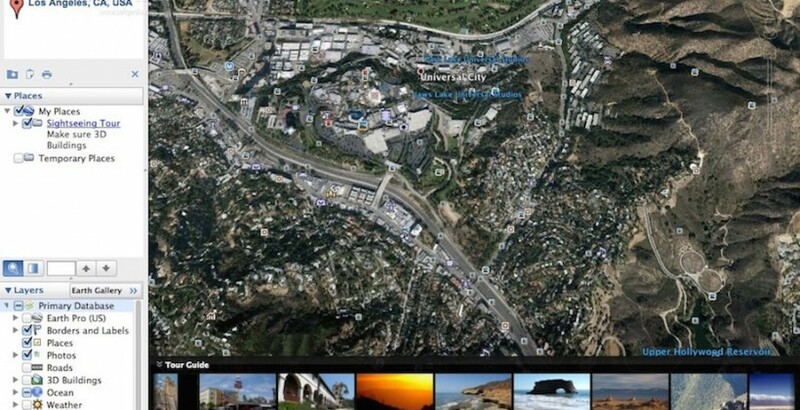 Google Earth Pro 2018 has got the same imagery which is included in Google Earth. It also includes improved suite of options developed for the business users like distance, area and 3D measurements. 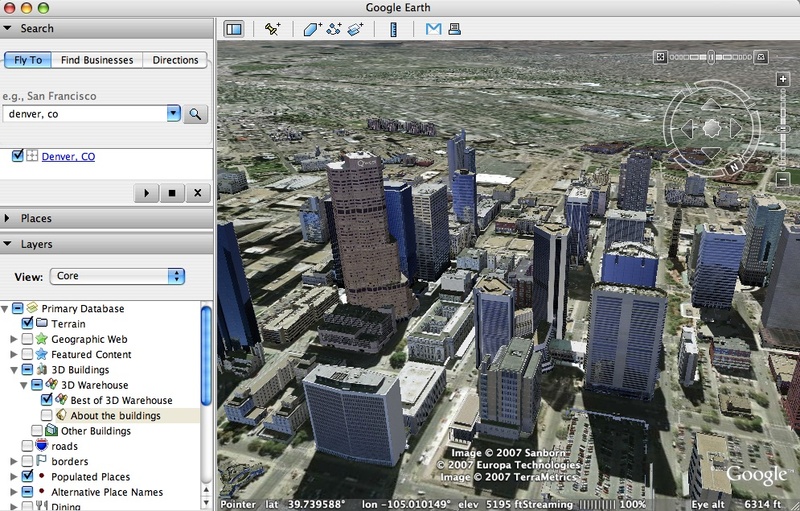 You can also download older version of Google Earth PRO. Google Earth Pro 2018 will let you calculate the distance in feet, kilometers, acres and miles. You can also perform the area as well as radius measurements and you can also determine the height of the building. The demographic data is shown on the thematic maps more precisely it shows the media age, education level and income of your state, country, block group or census tract. This application allows you to research properties by zooming in to view parcel boundaries and attain the information about the price sold, square feet, zoning and variois other details. Google Earth Pro 2018 provides you the possibility to import the ESRI Shape, Keyhole Markup Language (KML) and MapInfo files. You can also add the large files which are optimized automatically and also can split the images into tiles. With Google Earth Pro 2018 you can also save the 3D imagery in real time and the video streams can easily be exported into WMV or AVI file formats. You can also follow the camera viewpoint to and from various different locations. It also allows you to publish the the data onto your website or send it through email. On a conclusive note we can say that Google Earth Pro 2018 is a very handy application for exploring the maps with demographical details and which will let you import GIS data and create the maps. You can also download Google Earth 7.1.2.2019. Below are some noticeable features which you’ll experience after Google Earth Pro 2018 free download. A very handy application which will let you explore the maps with detail. Allows you to import the GIS data and to generate the videos. Got the same imagery which is included in Google Earth. Includes improved suite of options developed for the business users like distance, area and 3D measurements. 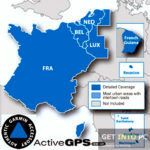 Lets you calculate the distance in feet, kilometers, acres and miles. 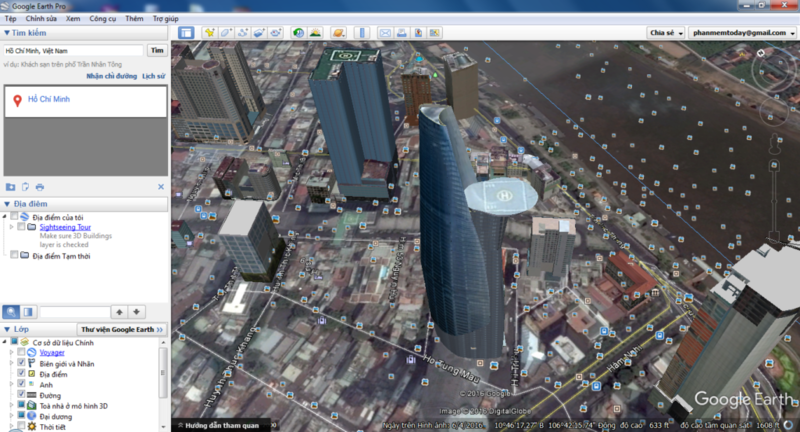 Can perform the area as well as radius measurements and you can also determine the height of the building. Allows you to research properties by zooming in to view parcel boundaries and attain the information about the price sold, square feet, zoning and variois other details. 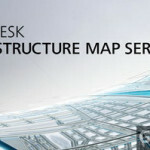 Provides you the possibility to import the ESRI Shape, Keyhole Markup Language (KML) and MapInfo files. Can also save the 3D imagery in real time. Video streams can easily be exported into WMV or AVI file formats. Allows you to publish the the data onto your websiteor send it through email. Can also follow the camera viewpoint to and from various different locations. Before you start Google Earth Pro 2018 free download, make sure your PC meets minimum system requirements. Processor: 500 MHz Intel Pentium III or later. 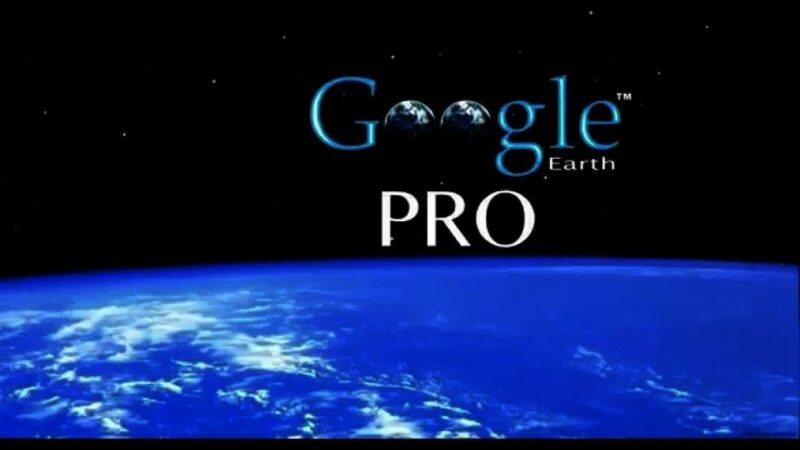 Click on below button to start Google Earth Pro 2018 Free Download. This is complete offline installer and standalone setup for Google Earth Pro 2018. This would be compatible with both 32 bit and 64 bit windows.